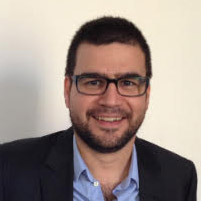 Bora Yılmaz is part of the Revo Capital founding team, the largest early stage technology venture capital fund in Turkey with $66 million AUM dedicated only for IOT, B2B cloud and neo-commerce enabler startups. After being involved in product management in leading Turkish enterprises for ten years, Bora followed his entrepreneur instincts and formed a value added services company to serve GSM operators in EE. He had to interrupt his entrepreneurial career abroad after five years due to family reasons and the economic crisis in the region and settled back to Turkey in 2010 to lead projects as an entrepreneur-in-residence at Turkcell. Bora works as a venture capitalist at Revo since its inception in 2013 and is interested in technologies such as cloud, advertising, marketing, connected home, logistics, HR and more. He is also a mentor at universities, startup incubation centers or acceleration programs.